President George W. Bush will ask the U.S. Congress for 400 million dollars for nations that have sent troops to Iraq and Afghanistan, rewarding them for taking “political and economic risks,” the White House said. Pakistan and Sri Lanka on Wednesday called for an early holding of a SAARC summit in Dhaka to give boost to regional development and strengthen ties in the field of trade and economy. The first underwater images of the seabed off Indonesia where an earthquake struck on Boxing Day show the colossal scale of the geological forces that sent a devastating tsunami across the Indian Ocean. A Democrat Congressman today introduced a Bill supporting India’s bid for a permanent seat on the United Nation’s Security Council in the US House of Representatives. militants fired more than a dozen mortar bombs at Jewish settlements and army posts in southern Gaza today, days after Israel and the Palestinian declared a truce to end four years of violence. Camilla, would not be called Queen once Charles becomes King but would be known as the Princess Consort. After her marriage she will also carry the title of Duchess of Cornwall, The Clarence House, official residence of Prince Charles said. It said the ceremony would take place at Windsor Castle on Friday, April 8 in “a largely private occasion for family and friends” — without the pomp and circumstance of Charles’s wedding to Diana in 1981. “Mrs Parker Bowles and I are absolutely delighted. It will be a very special day for us and our families’,” Prince Charles said in a statement. Charles and Diana divorced in 1996, and Diana had blamed Parker for ruining the marriage, famously revealing in an interview that “there were three people” in their marriage. The marriage will end years of speculation on their relationship which has spanned decades. The question of whether Prince Charles, 56, could marry his 57-year-old divorced companion has been contentious within the Anglican church. He would become head of the church on becoming King. But the Archbishop of Canterbury, Rowan Williams, in a statement today endorsed Prince Charles’s plans to marry Bowles. “These arrangements have my strong support and are consistent with Church of England guidelines concerning remarriage which the Prince of Wales fully accepts as a committed Anglican and as prospective Supreme Governor of the Church of England,” he said in a statement. 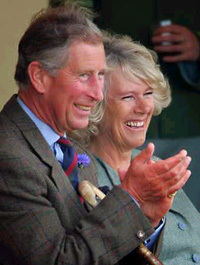 “I am pleased that Prince Charles and Mrs Camilla Parker Bowles have decided to take this important step,” he added. Alastair Bruce, a royal commentator, today said that there were no constitutional impediments for the couple to marry, although it might provoke some soul-searching in the Church of England. In a snap poll on Sky News television, 70 per cent of respondents said they did not approve of the wedding, and 30 per cent were in favour. White House spokesman Scott McClellan said yesterday money for the so-called solidarity initiative would be included in an 81 billion dollars supplemental budget request to fund U.S. military operations this year. “This assistance will support nations that have deployed troops in Iraq and Afghanistan, as well as other partners,” he said. Talking to reporters after their formal talks at the PM House here, Prime Minister Shaukat Aziz and President Chandrika Kumaratunga agreed on the need to make more efforts to hold the summit as soon as possible. ‘‘Certainly, we are in favour of an early holding of the summit and we will do our best to help its reconvening as soon as possible,’’ the Sri Lankan President said. Prime Minister Aziz said that Pakistan was endeavouring to convene the summit at the earliest to give further momentum to the process of SAARC for regional cooperation. ‘‘Pakistan wants the SAARC process to move forward and further strengthened,’’ he added. The two leaders held a one-to-one meeting before they were joined by their respective sides. Officials told APP that the two leaders expressed their disappointment at the postponement of the Dhaka summit. Prime Minister Aziz emphasised that it was important that the process of SAARC should not be stalled as a result of postponement of the summit. President Kumaratunga assured Prime Minister Aziz of her country's full support in this respect. The Prime Minister described talks with the Sri Lankan President as productive that covered all areas of bilateral interest. Pakistan and Sri Lanka also signed four accords and two MoUs, including a free-trade agreement (FTA) that would open a new chapter of economic cooperation between the two countries. The Prime Minister described the signing of FTA as historic and said it would be a ‘‘turning point’’ in the economic ties between the two South Asian states. He said the two sides had agreed to hold a meeting of the joint economic forum in Colombo in April and Pakistan had also proposed to hold a single-country exhibition in the Sri Lankan capital at the same time that would give further momentum to the FTA process. Three-dimensional pictures taken by a sonar on the Royal Navy vessel HMS Scott reveal a ruptured sea floor of submarine canyons and mountains created by the movement of one tectonic plate beneath another at the rate of 2.4 inches a year. It was the sudden release of pressure built up over decades of tectonic movement that triggered the earthquake, which some geologists have re-evaluated as three times more powerful than previously thought. Images released by the Navy show how the flat Indian tectonic plate is slipping under or ‘‘subducted’’ beneath the crumpled Burma plate which is being pushed up in the process. Steve Malcolm, commanding officer of HMS Scott, said the seabed at the earthquake epicentre looked like a ‘‘rumpled carpet’’ when viewed on the sonar screen. Data from the sonar is being analysed by the marine geologists Lisa McNeill and Tim Henstock, of the Southampton Oceanography Centre. It is the first time the sea floor has been studied so intensely after such a large earthquake. The scientists estimate some of the ridges are up to 5,000 feet high. Some of the ridges have collapsed to produce huge landslides of mud and rock several miles long. Seismologists have calculated that the epicentre of the earthquake was some 25 miles below the sea floor. They initially registered it as 9.0 on the Richter scale. But, seismologists from Northwestern University in Evanston, Illinois, have recalculated the earthquake as 9.3, which would make it three times larger — because the scale is logarithmic — and the second-largest recorded earthquake. Mr Frank Pallone, founder of the Congressional Caucus on India, introduced a ‘Sense of Congress’ legislation which would put the US House of Representatives officially on record in support of India’s bid. “Sense of Congress” resolutions have no binding effect on the Administration but indicate the strong feelings of Congress on issues of importance. The army said 17 mortar bombs early in the morning in some Jewish settlements and army posts in southern Gaza as well as Israeli towns near the border.